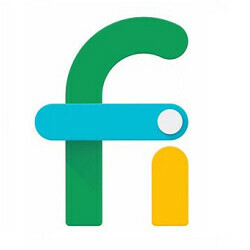 Google's Project Fi hybrid MVNO uses a combination of Wi-Fi hotspots and cellular networks to connect its customers to the internet. And now Project Fi has announced a whole new unlimited data plan that it calls "Bill Protection." Previously, for $20 a month, customers got unlimited talk and text and paid $10/GB for data. Money spent on data not used during a given month was refunded. To better compete with carriers like T-Mobile and Sprint and their low priced unlimited offers, the new Bill Protection plan again supplies unlimited talk and text for $20 a month. And yes, you still pay $10 per GB for data. But the difference is, that once a particular amount of data has been consumed, data is free for the rest of the month. 1 person never pays more than $60 for unlimited data ($10/month until 6GB is topped); total monthly bill $80. 2 people never pay more than $100 ($50 each) for unlimited data ($10/month until 10GB is topped); total monthly bill $120. 3 people never pay more than $120 ($40 each) for unlimited data ($10/month until 12GB is topped); total monthly bill $135. 4 people never pay more than $140 ($35 each) for unlimited data ($10/month until 14GB is topped); total monthly bill $150. 5 people never pay more than $160 ($32 each) for unlimited data ($10/month until 16GB is topped); total monthly bill $165. 6 people never pay more than $180 ($30 each) for unlimited data ($10/month until 18GB is topped); total monthly bill $180. Available handsets that are compatible with Project Fi include the Pixel 2, Pixel 2 XL, Pixel XL and the Android One Moto X4. If interested, click on the sourcelink below. That is an interesting deal. Is anybody here already using Fi that can give an idea how good their coverage is? Being a fi user I can tell you in San Antonio it's pretty bad I'm honestly getting more drop calls then ever. I will be switching back to AT&T. This is with using the Pixel 2 XL. Been with Fi a little over a year, based in Ohio. Periodically, I make a trip down the Appalachian Autobahn to South Carolina for work, and we took a road trip back from Texas over the summer. I've rarely been without data coverage and even more rarely without data (both are intermittent between Beckley and Charleston, WV). Overall, I would consider them similar to AT&T or Verizon. Coming from Sprint, it's the improvement you'd expect. As a general rule, T-Mobile had the stronger signals in the North and Sprint in the South. Southern Ohio and Northwest West Virginia were best served by US Cellular. That doesn't even take WiFi into account, which is still Fi's primary network. Frankly, I'd consider their selection of phones to be a much tighter constraint than their coverage, even as a Nexus/Pixel fan. More than one person becomes a good looking deal. I heard it uses , T-Mobile, Sprint and I think US Cellular depending on which area your in. Man that looks tasty, unfortunately only Verizon works in my office. Man it does look like a GREAT DEAL. Used fi for international travel once and it was awesome. If the deal was a little better I'd switch from verizon. Right now I have 5 lines on unlimited paying ~$45 a line which is unbeatable value. Verizon can be a really good deal so long as you can afford to either pay retail for you phone and not have to pay the extra monthly cost for your device or already have an unlocked device to use with them.